Rachelle @ sequinsandnappies thinks I’m neat. Rachelle’s from Australia and found my little blog all the way over here in ‘Merica. (Wonder how that happened?) 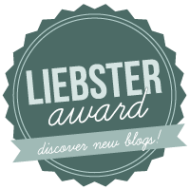 Anyway, with only a few blog posts under my belt, Rachelle has awarded me with the Liebster Award. I thought, “What does this mean? Hopefully, there’s a monetary award attached!” Naturally, a little research ensued. Nope, no money but that’s okay. The point is, the Liebster Award is truly an honor to receive. (Rachelle would probably spell “honor” as “honour” since she lives in Australia). It’s sort of a “pay it forward” award for bloggers. 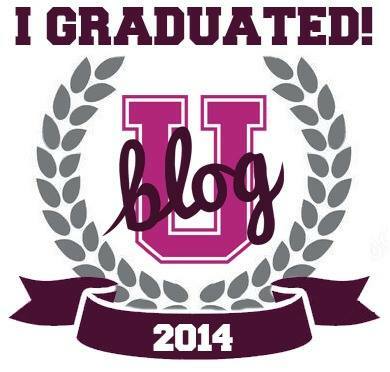 If you find this award slapped on your blog, then you’ve earned the respect of a fellow blogger. That’s pretty darn cool. NOTE: You are not obligated to participate should you receive this award. However, there are some benefits (e.g. it’s fun, it feels good when someone likes your blog, and it promotes your blog). Your daily uniform? If I had a choice, it would be pajamas, but I don’t. Flip-flops are the closet thing to pajamas and I can wear them to work. I have fancy flip-flops so I can get away with it. Your funniest moment in the last week? When my boss realized that I may have a smaller office, but I have frickin’ way cooler view than he!! Your favorite blog post? Share a link! Do I post my favorite blog on my blog (Alien Bunny Rabbits) and/or someone else’s? I love just about anything on Insane In the Mom Brain. But then my friend, Ashli, has an awesome blog, Almost Veggie. She lived in Houston and now in Dallas. I haven’t been to Houston since 1992 and never to Dallas but when I do, I will know where to eat. Besides reviewing restaurants, she also talks about her Dorito & Red Bull addiction and how much she LOATHES finger/bag lickers. If I should pick a post from Rachelle, then I pick Parenting Philosophy. Girl, you’re so far ahead in the game, have yourself a mojito. Summer or winter? SUMMER! I get to play tennis and work on my tan at the same time! Favourite decade for fashion? I miss the days of Benetton, Outback Red, Swatch watches and Guess. When do you blog? All hours of the day. If inspiration hits me when I can’t write, I send an email back to myself with a few key words to remind me of what I was feeling/thinking. If you could tell new mothers one thing what would it be (if it weren’t for the fact that most new mothers do not want to hear well intended advice, I certainly didn’t. Play along even if you’re not a mother you could very well give some good unbiased advice)? Sleep, sleep, sleep and don’t feel guilty about it. It keeps you from feeling resentful and your kid deserves to well-rested mommy. You have a whole day to yourself (no kids, no husband, no work, etc etc) what do you do? Because lets face it it’s nice to occasionally day dream about having a break from life. I like going to the movies by myself. No kids to interrupt and I don’t have to share the popcorn. That is also good advice for the previous question. Best time saving tip? I love to read but who has time? Instead, I listen to audiobooks in the car b/c I’m always in the car. Oh yeah, that also goes for the mommy-advice question. Do NOT, EVER, NEVER, start playing kid DVDs or songs in the car. Once you start, it won’t stop. So don’t start. If you do, then it should never be done more than 1 x a month. Kids need to know that car time is not all about them! If you keep this rule, then you’ll own the stereo. That’s living the high-life baby! 1. Who is your all-time favorite blogger? 3. What is YOUR favorite blog post from YOUR blog? 4. What do you do to unwind? 5. 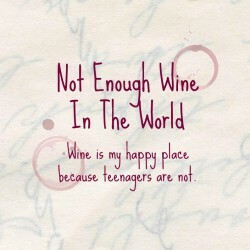 We all know that I like wine. What’s your favorite type of wine/brand? 6. Who’s your man/woman candy? 7. What’s your all-time, feel-good movie? 8. What’s your guilty pleasure? 9. What is you favorite child-hood board game? 10. Now that we are practically BFF’s, what is your most embarrassing moment?